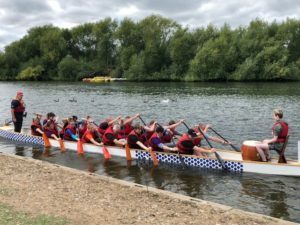 Team ‘No5 Rocks Well’ rocked at the Reading Dragon Boat Race! 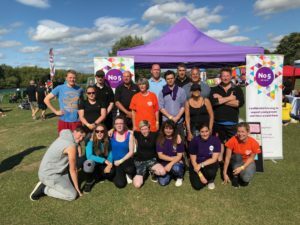 On Sunday 19th August our team ‘No5 Rocks Well’ made up of staff, Young Ambassadors, and volunteers from No5 and staff from Rockwell Collins took on the challenge of rowing in three 200 metre races at the Reading Lions’ Dragon Boat Festival, and rock they did! 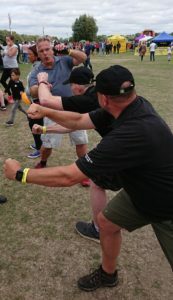 After crossing the finish line in 1 minute and 19 seconds in their first two races, they got competitive and after shaking up their strategy they managed to knock 5 seconds off their time and crossed the finish in 1 minute and 14 seconds! Here they are after their final race, slightly more damp than when they started! 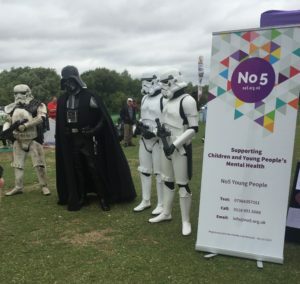 Even Darth Vader and his Stormtroopers stopped by to show their support! 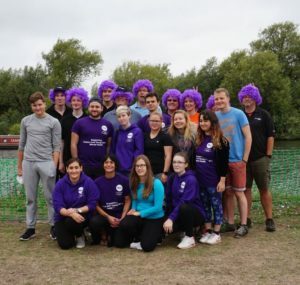 A huge thank you to the staff from Rockwell Collins for paying for our boat, sharing it with us, rowing with all your might, and rocking our purple wigs! 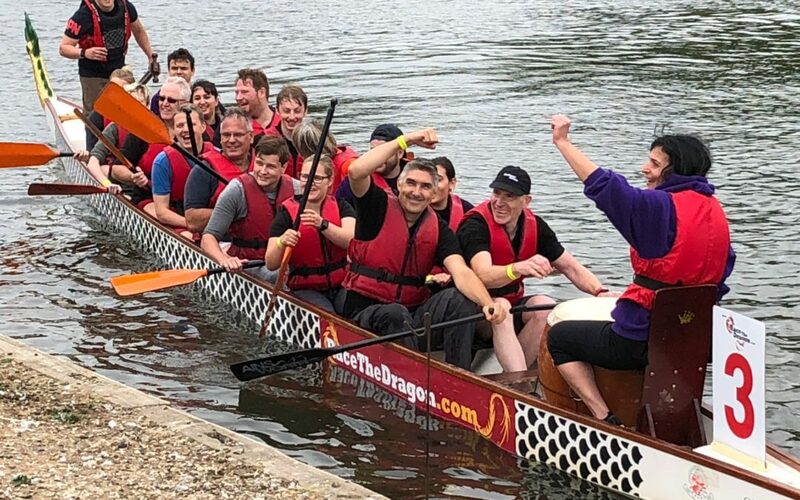 There’s still time to sponsor their incredible rowing efforts with all donations going directly to help us deliver our core service and support children and young people’s mental health!